Can energy development co-exist with healthy fish and wildlife habitat? Energy development can coexist with healthy habitat and quality hunting and angling, but it doesn’t happen by chance. Responsible energy development requires careful planning and a commitment from stakeholder groups, the public and decision makers to get it right. Only through collaboration can we strike the appropriate balance. And it is critical that our public land management agencies – the Bureau of Land Mangement and the U.S. Forest Service – have the right policies and procedures in place to facilitate both energy development and the conservation of healthy fish and wildlife habitat. 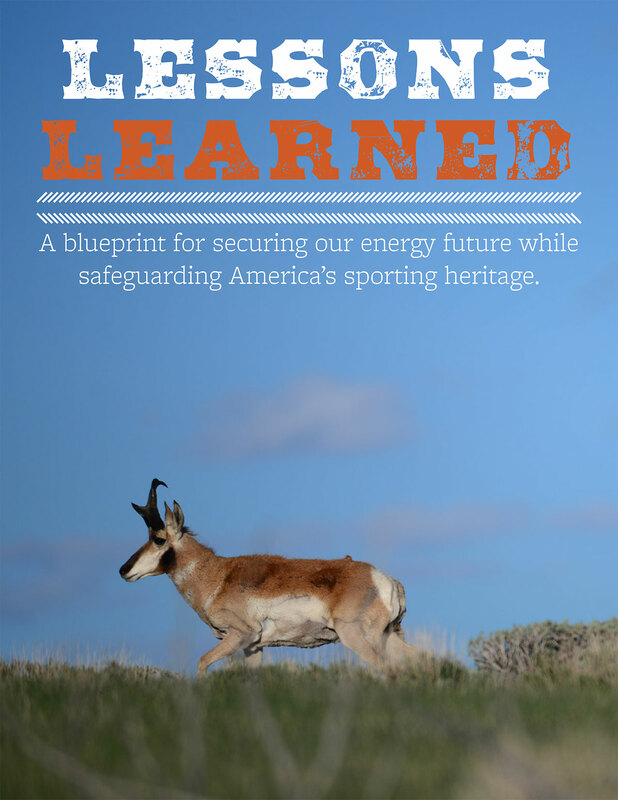 Lessons Learned, A blueprint for securing our energy future while safeguarding America’s sporting heritage. There is already ample access to develop America’s energy resources. Responsible development means we don’t need to sacrifice more special places.